Sunsweet Mediterranean grown apricots are plump and sweet. 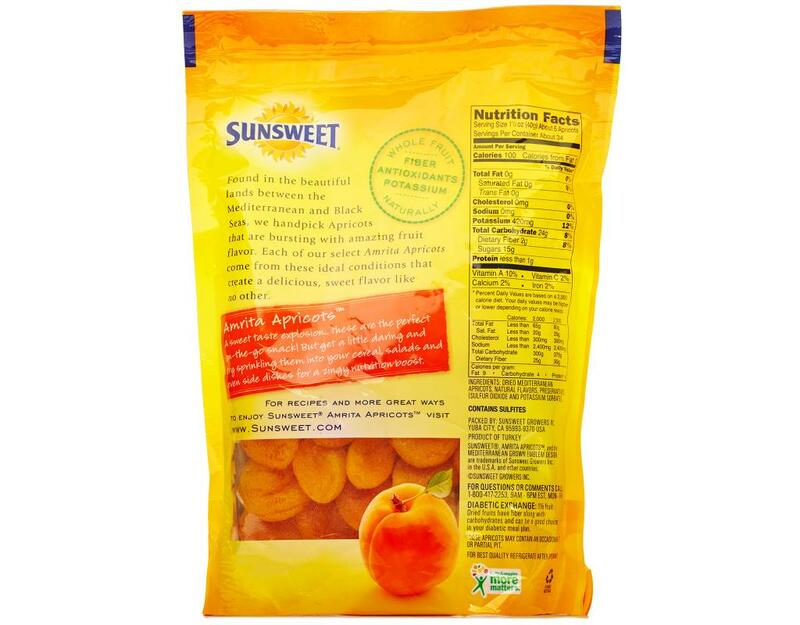 Sunsweet is the expert when it comes to flavorful dried fruits. 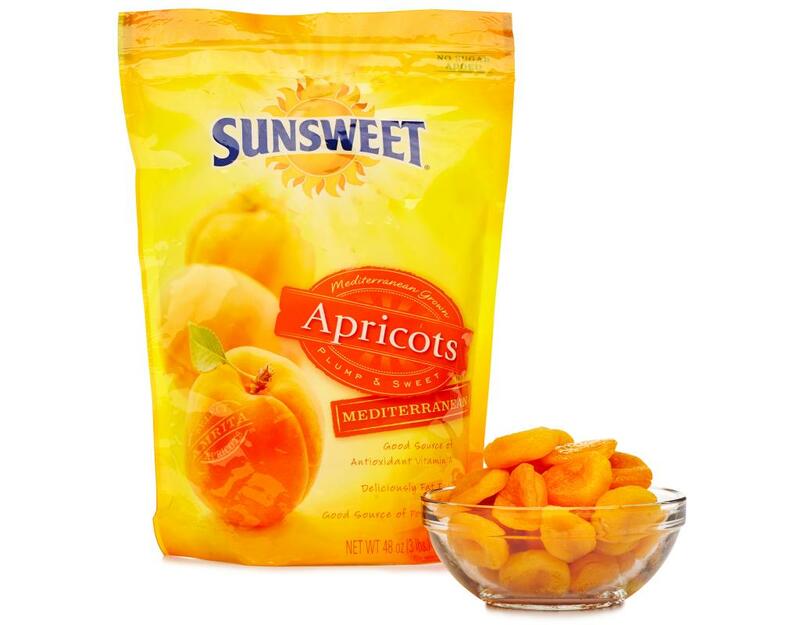 From the orchards of the Mediterranean, their buyers search out the most luscious, golden, velvety-smooth apricots. 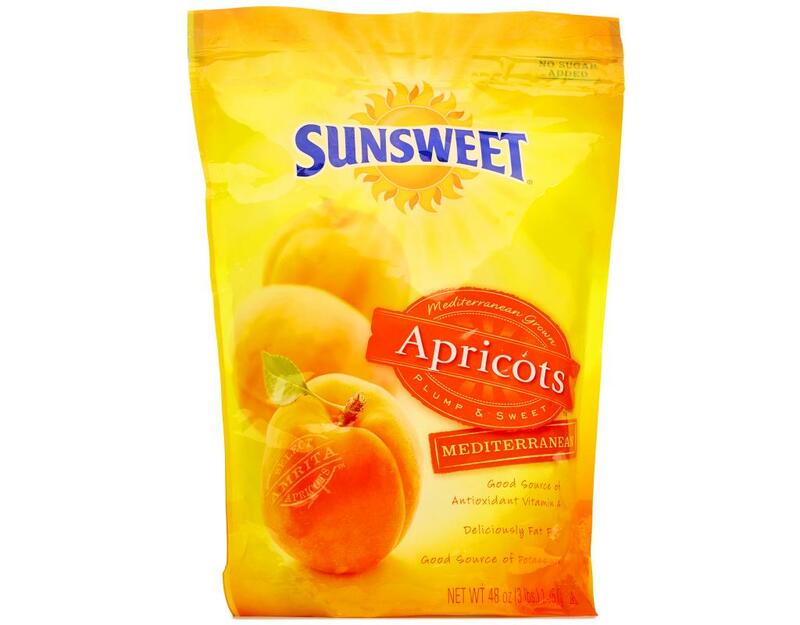 Sunsweet Mediterranean Apricots are whole, tender pieces of sweet, subtly tart, delicious fruit. 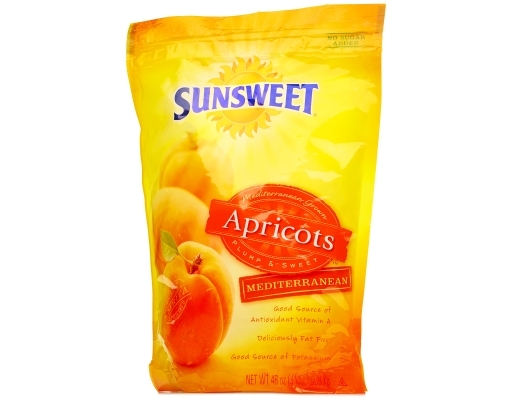 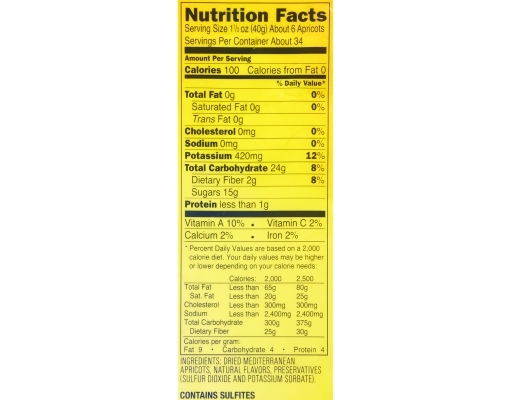 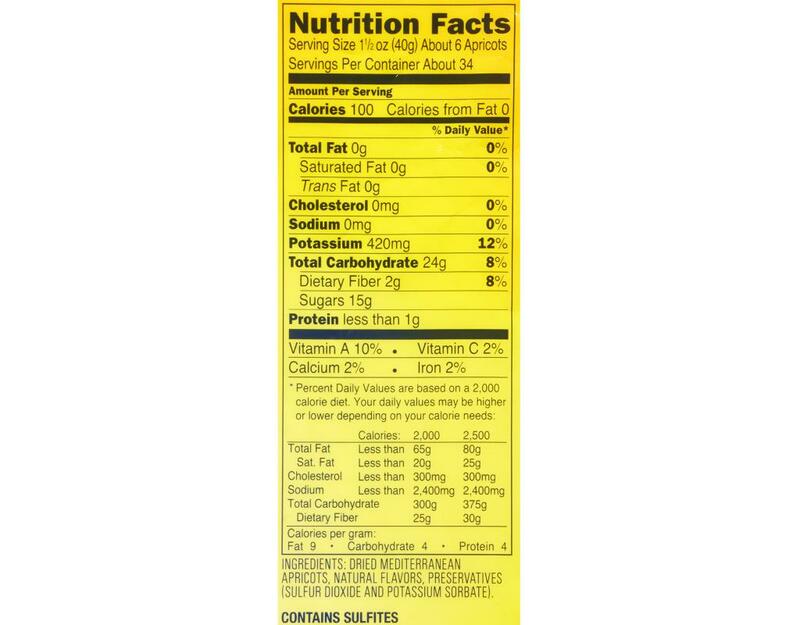 Tasty and succulent right out of the package or as an elegant addition to desserts, casseroles, entrees and grain dishes, these Mediterranean Apricots are fat-free, cholesterol-free and a good source of dietary fiber and potassium. 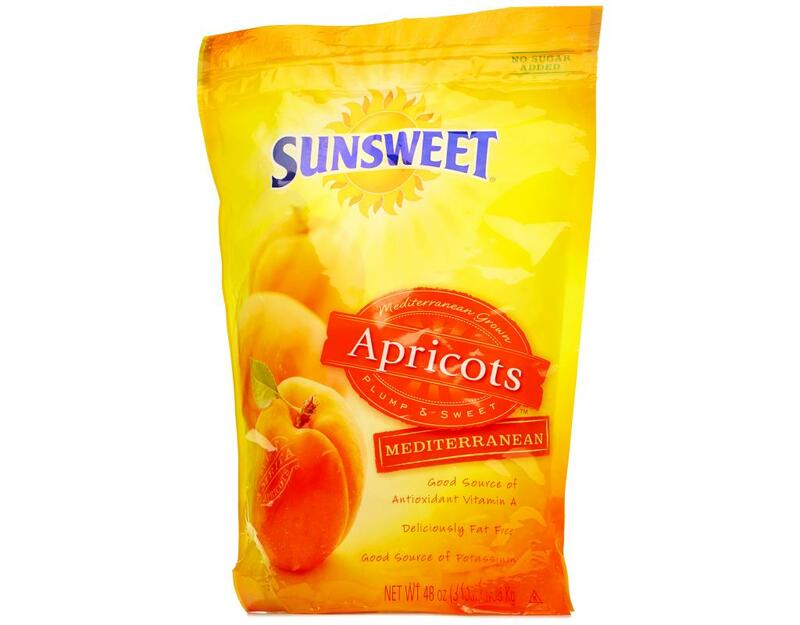 Enjoy Sunsweet Mediterranean Dried Apricots as part of your active lifestyle.